Global Risk Institute is a Conference Sponsor for this Event. 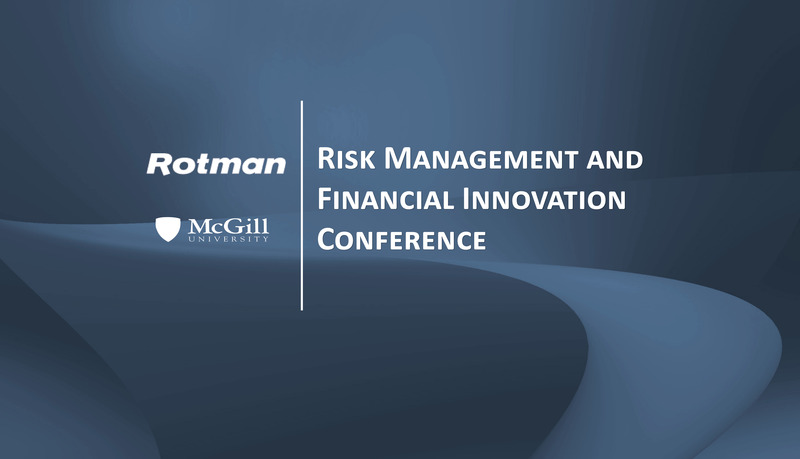 The Rotman School of Management, University of Toronto and Desautels Faculty of Management, McGill University are hosting a conference on Risk Management and Financial Innovation on March 8-10, 2019. The conference is in memory of Professor Peter Christoffersen, who passed away in June 2018. Peter held the TMX Chair in Capital Markets and a Bank of Canada Fellowship and was a widely respected member of the Rotman School since 2010. Prior to 2010 Peter was a valued member of the Desautels Faculty of Management. He published in top finance and econometrics journals, and served as an associate editor at Journal of Derivatives, Review of Finance, Journal of Financial Econometrics, Journal of Applied Econometrics, Review of Financial Studies, Journal of Risk, Journal of Business and Economic Statistics, and Journal of Forecasting. For more information and the full agenda of the weekend check out the Rotman website.